The foundation project is a “plan” to create new clean lines with new blood or to re-create clean lines from foundation cats that had been severely mixed with nem. We are at the moment a group of breeders in France, Switzerland and Norway. We choose and bought a foundation offspring to bring new blood to the breed in optimal conditions and recording all the information necessary to achieve good consistent work and leave all the data regarding these new cats and the building of these new lines available for the future. 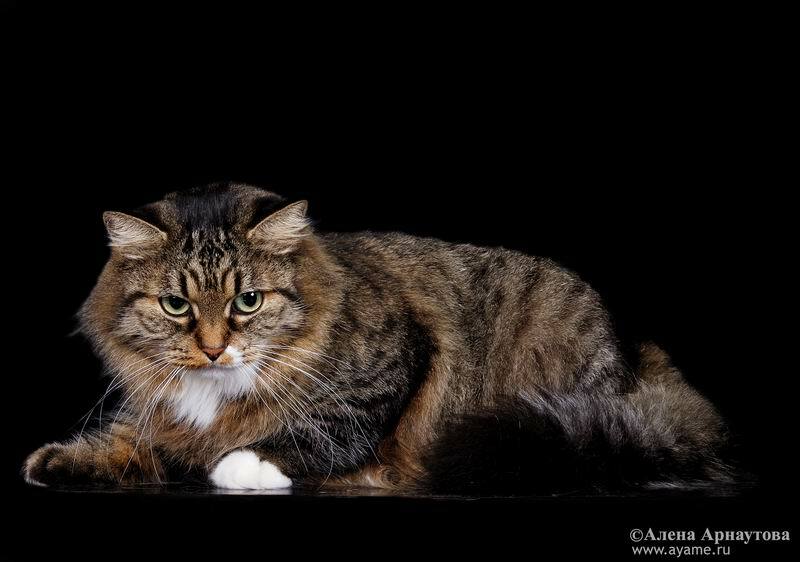 All our Riex 2 cats will be married to cats with longer genealogies to avoid 2/3 foundation cats in the same genealogy. Our matches are the combination of New lines + Old lines. All the cats will be tested PK deficiency, PKD and HCM regularly, their offspring will be tested HCM also regularly. Kittens will be sold first as pets and these pet owners will agree on contract that the cats will be followed by the breeder. Offspring will be screened HCM and also pet owners will be chose among those who will allow us to follow the cat regarding type with photos or visits and with any relevant information about the health of the cat in question. Most of the time we know very little about the foundation cats in our lines. One of the goals of this project is to make ALL the information available about these new foundation cats brought to us by Russians breeders and ensure data is recorded. A ll these important information like: where cat was found, conditions of life (street cat,farm cat, pet adverts on newpaper), cp carrier or not, blood group, judges who gave certificate, health info and death if the cat already passed is recorded for the future breeders to come. I also want o create here a page for each older foundation gathering ALL the information we have about each cat with the same goal: Leave the information available, effortlessly within a mouse click, to future breeders. If you are interested in cats close to foundation please visit our Guidance page.